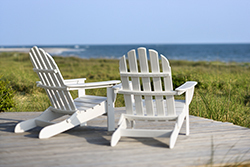 Naples Property Management, Naples Property Managers, Naples, FL Property Management Companies. Q: Are your Property Managers & agents licensed? A: Yes, all of our property managers and leasing agents are fully licensed by the State of Florida. Innovative Realty, LLC is also a member of the Florida Association of Residential Property Managers (NARPM), National Association of Realtors (NAR), Florida Association of Realtors (FAR), Orlando Regional Realtor Association (ORRA) and the Realtor Association of Greater Fort Myers & the Beach. Naples is a city in Collier County, Florida, United States. As of the 2010 census the city's population was 19,537. Naples is a principal city of the Naples-Marco Island, Florida Metropolitan Statistical Area, which had a population of 321,520 at the 2010 census. Naples is one of the wealthiest cities in the United States, with the sixth highest per capita income in America, and the second highest proportion of millionaires per capita in the US. Real estate is among the most expensive in the country, with houses for sale in excess of $40 million. Naples was founded during the late 1880s by former Confederate general and Kentucky U.S. Senator John Stuart Williams and his partner, Louisville businessman Walter N. Haldeman, the publisher of the Louisville Courier-Journal. Throughout the 1870s and '80s, magazine and newspaper stories telling of the area's mild climate and abundant fish and game likened it to the sunny Italian peninsula. The name Naples caught on when promoters described the bay as "surpassing the bay in Naples, Italy". Major development was anticipated after the railroad reached Naples on January 7, 1927, and the Tamiami Trail linking Naples to Miami was completed in 1928; but did not begin until after the Great Depression and World War II. During the war the Army Air Force built a small air field and used it for training purposes; it is now the Naples Municipal Airport.